Any business benefits from greater visibility in the search engines, and the law business is no exception. 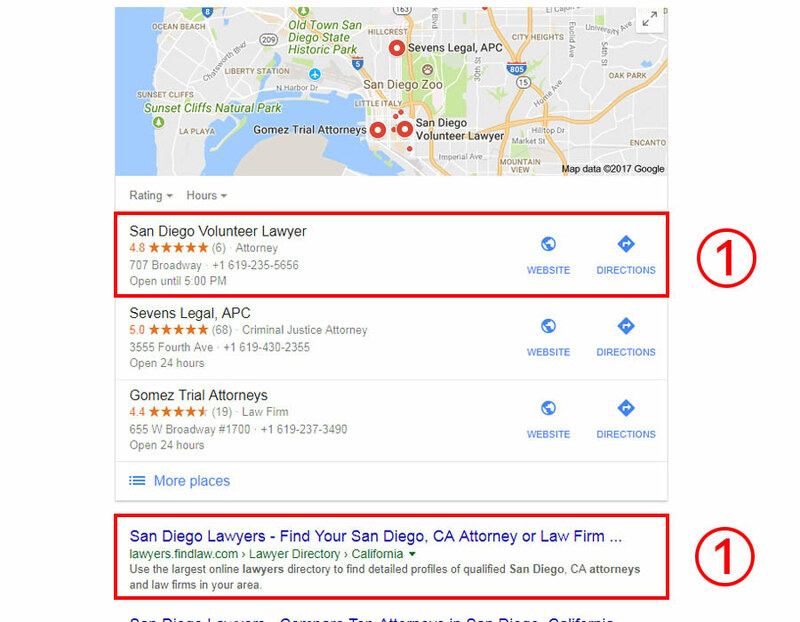 Search engine optimization for law firm websites is crucial, as a prominent present in the search engines can lead to dozens of inquiries per day, and literally millions of dollars per year. There are tons of companies out there which profess to have expertise in search engine optimization for law firms, but separating the wheat from the chaff can be a tricky process at best. At the end of the day, RESULTS and first page rankings on Google are what make the difference. At Lawyer Marketing 360 we have a track record of delivering first page rankings on the major search engines for legal professionals, and are specialist in providing law firm SEO services. We have years of experience dealing with law firms, and understand that there is no "one size fits all" strategy for all legal firms or attorneys as regional requirements vary greatly. We will develop a custom SEO plan for your business, and will focus on white hat tactics that will greatly enhance your online presence across the WWW. We will put your website the 1rst page of Google with our effectif and proven SEO techniques. At Lawyer Marketing 360 you are never stuck in a contract because we have trust in the quality of our service and when you see consistent results you will continue to do business with us. We firmly believe that it is the value of what we deliver to you that is our assurance of a long-term relationship with us and not a contract. That said, optimization for search engines does not give instant results such as a PPC (adwords, for example) campaign. This is done naturally and usually takes between 3 to 6 months to be on the first page of google. However we can see improvement after the first month in most cases. If a company promises the first google page in a few days or weeks, you have to be wary of the methods used by that company. This can cause you more wrong than good. We only use white hat methods, approved by search engines to avoid penalties to your website. This ensures that the results take a little longer, but last longer. Would you like to put your website in front of hundreds of people looking for your business? We can put our SEO skills to work for you. All you have to do is to click the button below for a FREE Quote with no obligation. Please specify how many keywords and which region you are targeting in the detail box. If you already know the keywords, you can specify them to. We would love to do business with you! Let us speed up your success!